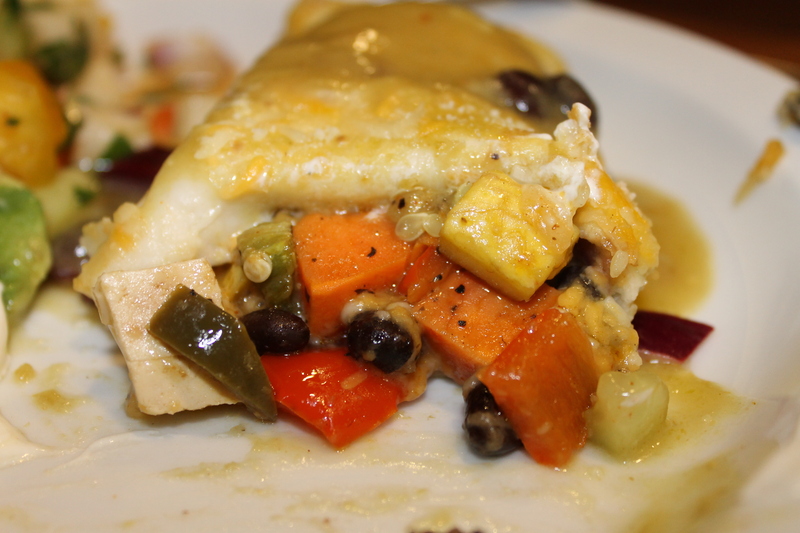 I made these vegetarian enchiladas the other night and they were AMAZING! Often times when you try and recreate something vegetarian it turns out to be a bigger hit than the original. Dinner time for me is full of excitement. I LOVE going to the grocery store and figuring out what it is that I am going to make. I know this can be dreadful for many, and usually I would recommend planning ahead, but when your schedule is busy it can be hard, I get it. I decided on these after scouting recipes on the internet. Sometimes you might catch a recipe but it is full of too many things (I see this all the time). If this is ever the case- you can tweak it a little bit and use what works for you. 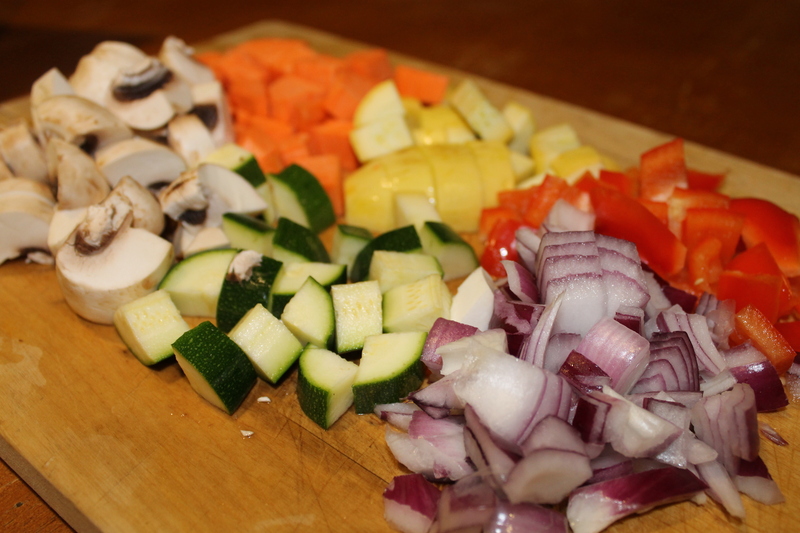 I used a couple different vegetables and the were still amaze. If you have a chance- make these! Prehead the oven to 350 degrees F. Line a large baking sheet with aluminum foil. 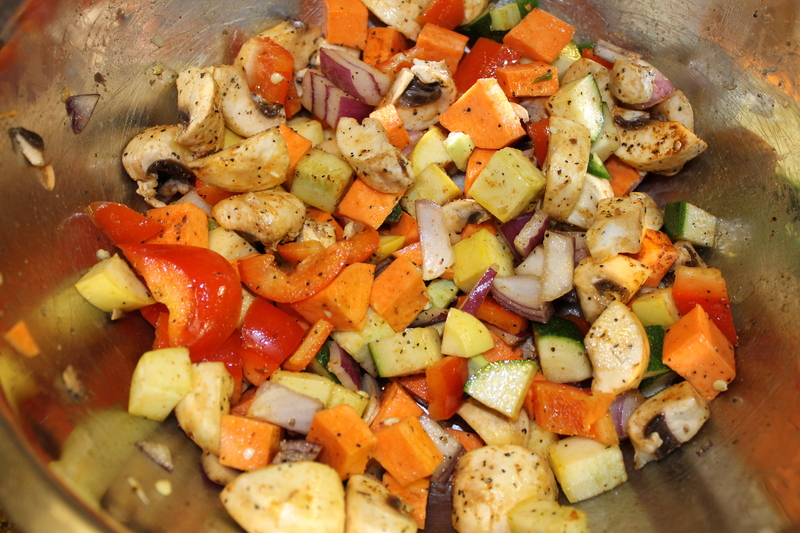 Bake for 30 min, or until the edges of the vegetables begin to crisp and they are tender. Remove and set aside to cool. 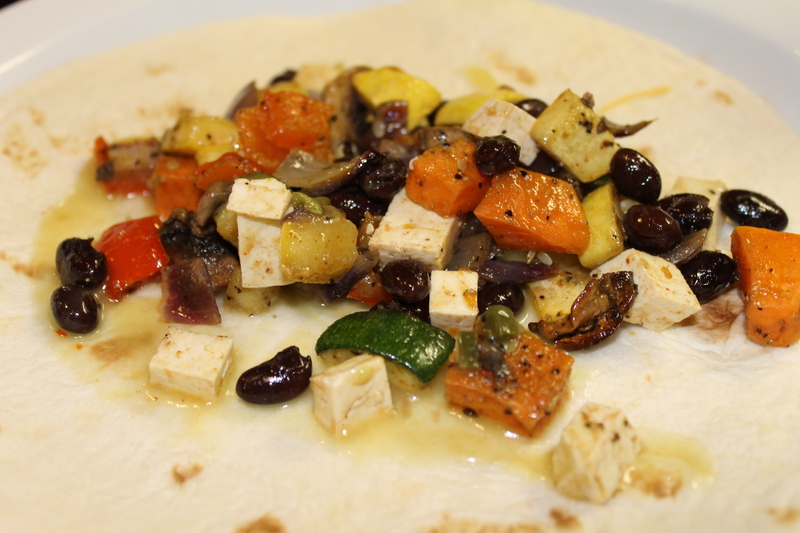 After the veggies were cool, I added tofu and black beans to the mix. Reduce oven heat to 350 degrees. Meanwhile, prepare your enchilada assembly line. Lay a tortilla on a flat work surface, then spread the top of it with a few tablespoons of enchilada sauce. 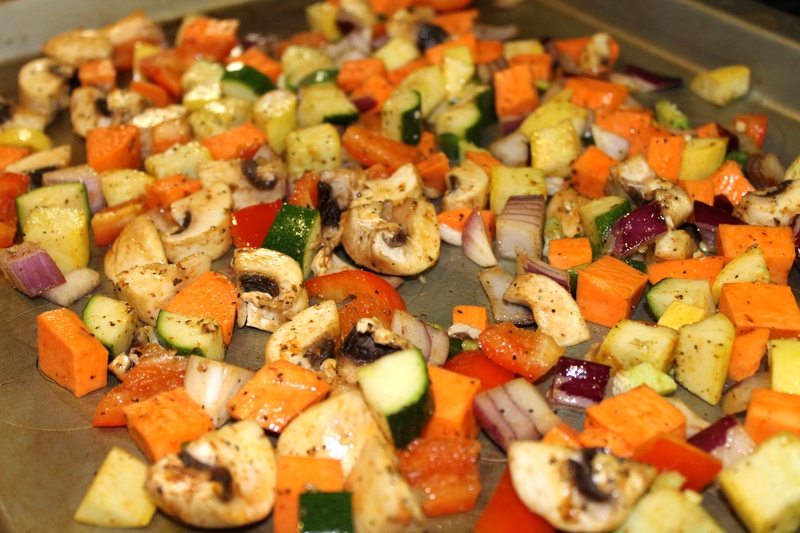 Sprinkle down the center with veggies and cheese (optional). Roll the tortilla up to close, then place it seam-side-down in a greased baking dish. Repeat with remaining ingredients. 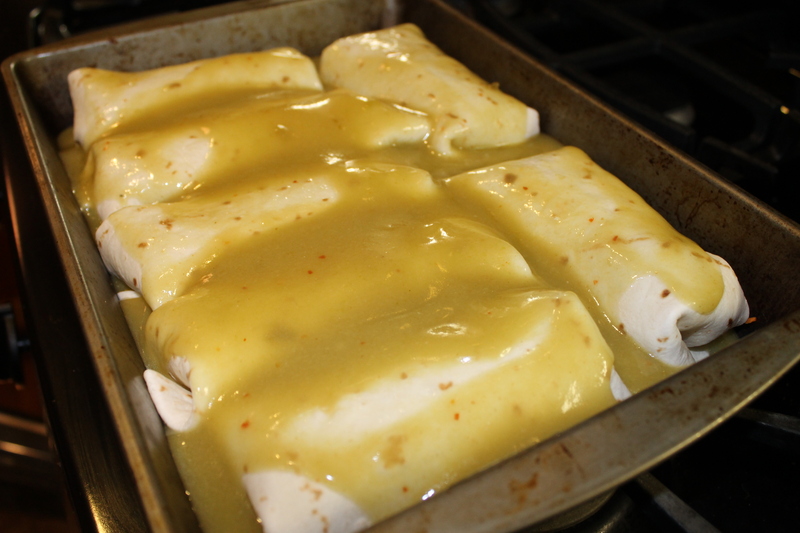 Then spread any remaining enchilada sauce on top of the enchiladas in the dish. Bake at 325 for 20 min. Then remove the dish and sprinkle extra cheese on top (optional/I used cojita). Bake for 5-10 more inures until cheese has melted and the tortillas begin to brown slightly around the edges. Remove from the oven and serve immediately, garnish if desired. This recipe based off of this one.